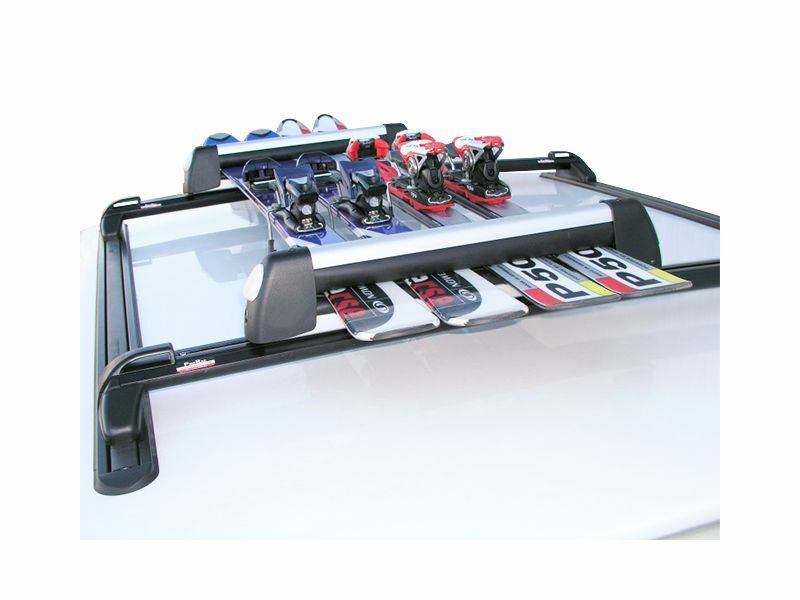 ProRac pro-file roof top rack accessories include the ski and snowboard carriers. The ProRac Ski and Snow Board Carrier installs easily in the ProRac crossbar or load bar T-SLOT allowing for quick removal during the non-snow months. The oversized push button allows the carrier to be opened while still wearing gloves. (Part Number: FGAT724-1 (4-Pair) and FGAT725-1 (6-Pair)). ProRac Rack Accessories can generally be attached to non ProRac Brand (Thule, Westin) and Factory Style Roof Racks. This product offers an easy, at home no drill installation. The installation manual is clear cut and easy to read. For additional information, please see the installation manual below. You may also call us toll free at 1-877-216-5446 or 701-253-5906.